While it may have gone somewhat unnoticed, RemiLore caught some attention from interested players when Nicalis began releasing developer videos on different elements the title offered. Although at first it may look akin to something like Diablo where dungeon crawling is the emphasis, it actually took a much simpler approach and is an interesting mix of fast-paced combat and a roguelike challenge with a beautiful anime-styled coat of paint on top. 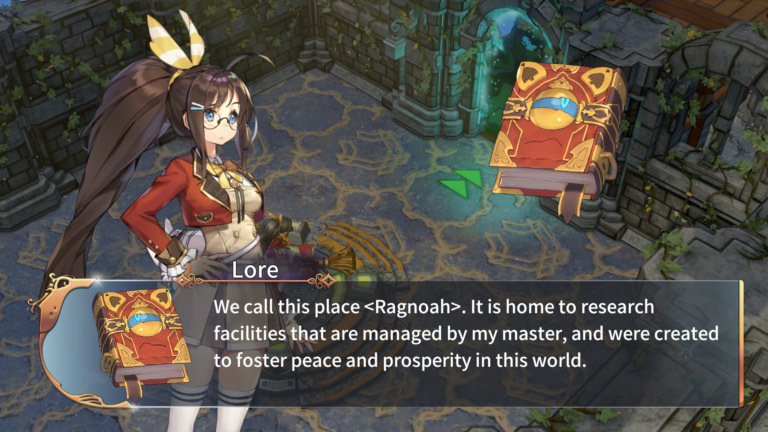 While these might sound like they don’t necessarily fit in one setting, RemiLore: Lost Girl in the Lands of Lore brings creativity to the table that makes one wonder how well it holds itself together. The story begins in an old library with a girl by the name of Remi. It’s her job to clean the dusty room before she can go home, but in the midst of her duties ends up discovering a creepy-looking book with an eye on the cover. While ending up disturbed by its appearance, the book comes to life and yells right before transporting the both of them to an entirely different world. After some apologies are made, the book introduces itself as Lore and explains that they are in his home world of Ragnoah. In order to take Remi back to Earth she’ll need to help him get to a distant portal while he restores his magic. Remi has no choice but to agree and unfortunately for her it’s not going to be easy as just walking there. Mechanical creatures simply called mecha-monsters block the way and it’s up to Remi with the help of Lore to take them down with the weapons she can find. Exploration is RemiLore is linear and straight forward to progress. The map is especially important as each playthrough will cause it to be a different map setup each time. Remi will follow her path until she enters a mysterious door where mecha-monsters begin to spawn. All of the enemies must be defeated before Remi can continue using the weapons she has available. There are a total of six weapon types with each one using light and heavy attacks. Weapons have their own unique styles and combo attacks that can pulled off, with easy instructions for these both in the top left of the screen at all times and in the pause menu. Defeating all the mech-monsters will have Remi graded on how well she performed in the room. The three judged requirements are time, damage taken and max combo. These can be hard at first with a weak weapon, but it’s well worth getting a high score as these determine the rewards Remi will get at the end of the stage. Enemies will also drop desserts, which are used to upgrade skills and weapons. Throughout the stages, Remi will occasionally come across treasure chests or special items dropped from enemies. These are typically one of two things; a random weapon or a mysterious scroll. Weapons range in strength and all come with a random spell, while the scrolls will give a random effect such as increasing or lowering health, magic or even rewarding more desserts. The weapons received are determined by the current available types unlocked and the upgrade that weapon has. The starting weapon is a one-handed sword, but as players complete multiple playthroughs more weapons will unlock along the way. Each weapon feels unique and makes trying them out fun while also requiring players to take different approaches to combat each time. At the end of each level the grading throughout each room will determine the amount of treasure chests earned. Typically these treasure chests contain weapons and it’s important to check all of these in order to get stronger weapons as enemies only get more challenging along the way. Even if a weapon isn’t stronger, it’s good to at least pick them up and swap back in order to register them as being seen once in order to uncover all the different types. Since each weapon has at least thirty or more varieties, there will be a lot of luck and hoping to get a stronger one while moving forward. After players have completed the story campaign once, they will unlock new game plus. This new mode isn’t just another story, but is instead a multitude of different modes to play. The default difficulty is normal and this enables not only more difficult modes, but ruthlessly relentless ones as well. 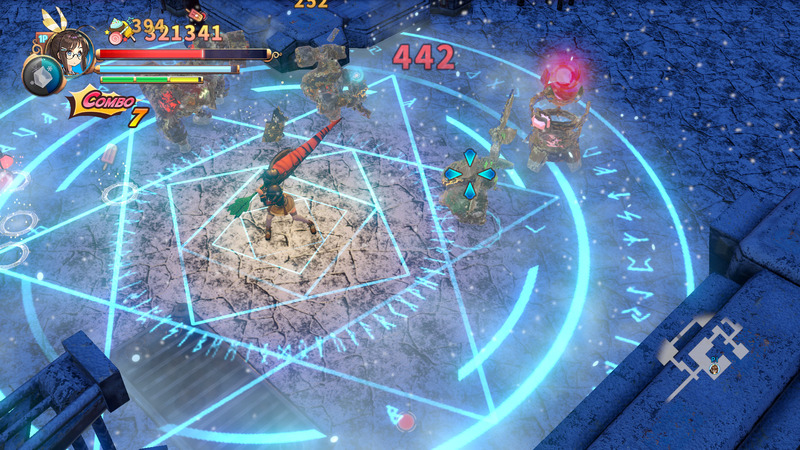 Players can try to take on the 1HP challenge, a boss rush and even random weapon modes. 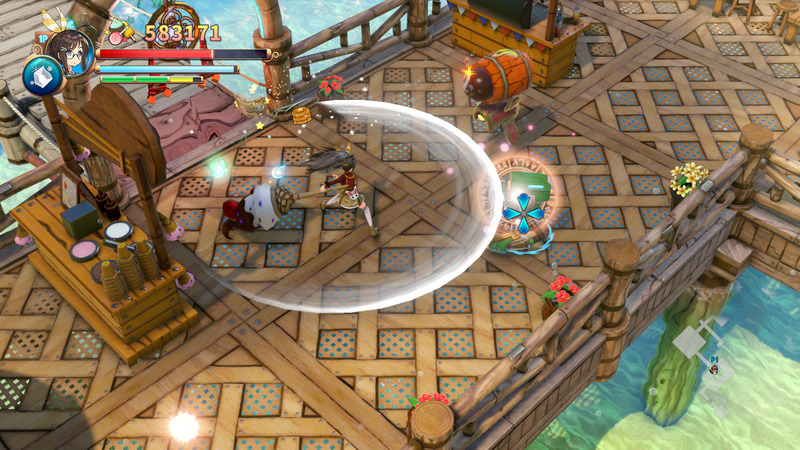 There’s also a more relaxed mode which allows players to actively choose the weapon and spell they have equipped. All of these modes work towards unlocking other items as well and make replaying multiple times a unique adventure for those up for the challenge. There’s also a single-player and co-op mode, which are mostly identical to the story but don’t include the cutscene segments. Co-op is also great fun for those who want to team up with a friend and adds a useful reticle so players can be aware of which enemy they’re targeting at all times. Outside of weapons, there are other passive collectibles in the form of costumes and achievements. Costumes can be unlocked through normal playthrough and modes, while achievements are of course unlocked by certain objectives. Most of these are easy to get through normal play, but some will require players to only use one weapon type or achieve a certain ranking in order to claim. While they don’t make any impact on the gameplay itself, it’s nice to have fun and challenging objectives to complete especially as it heavily encourages a multitude of unique playthroughs in order to earn all they have. There are no restrictions for modes either, so players are able to play at their own pace whether they want to ramp it up or tone it down for a more relaxed time. The campaign playthrough of RemiLore isn’t very long, and in fact can easily be beaten in one sitting, but its the multiple unlocks of weapons, costumes and even an extra character that make it well worth replaying. The story isn’t incredibly gripping, but it’s fun and lighthearted while not taking itself too seriously at all. Characters will occasionally quip up with dialogue while playing through each level with simple text boxes at the bottom with Japanese voice acting, and it can often be silly stories or just fun dialogue. These do end up repeating quite a bit, however, especially on multiple playthroughs, but luckily they can be toggled on or off in the options for those who don’t want them. Although the levels themselves are similar in design, each area is visually unique enough to make them stand out. The character design and visuals are charming and look great, although there are occasional framerate hiccups and pauses, they’re fairly unnoticeable while focused on combat. While playing in handheld mode on Switch, it ran nearly identical to playing in docked. There was one bug encountered while playing which caused an enemy to spawn constant and infinite bullets that locked the character in place until she lost all her health, but on multiple other playthroughs, nothing of a similar nature ever occurred. The music isn’t overly memorable, but is fun enough it makes for nice background noise while fighting enemies. The story also leaves a little bit to be desired in terms of wanting to learn more and see the characters interacting further on a bigger scale, but it also lends itself well to a potential continuation. Similar to other roguelikes, RemiLore is a title that thrives on players doing multiple runs in order to get the most out of it. Fortunately this is easy with so many unlockables to earn and different ways to approach combat each time. It would be nice if there were a bit more variety in the overall levels, and it could benefit from being ever so slightly longer, but it’s an easy title to sit down, play one session alone or with a friend and be satisfied. Each run through might be somewhat similar, but it’s so satisfying each time which makes it well worth repeating over and over. While it may not be the first of its kind or groundbreaking, RemiLore brings the potential of even more to come in the future and starts in a great place that makes it well worth giving a try as it’s the perfect balance of challenge without being frustrating. 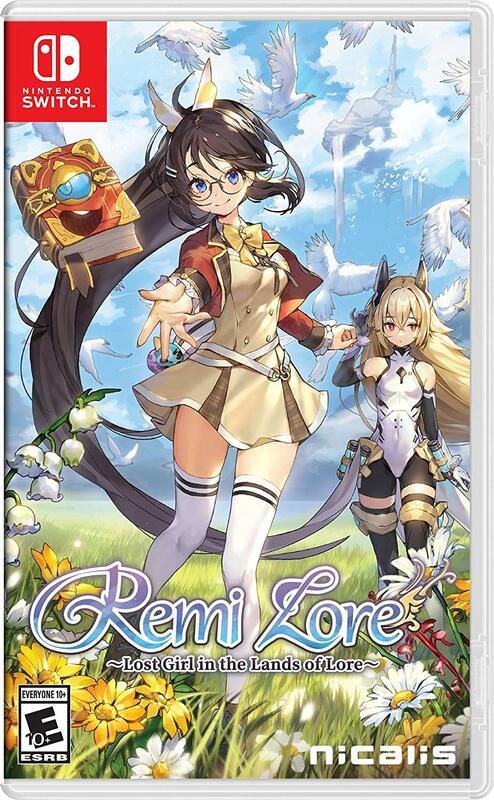 RemiLore: Lost Girl in the Lands of Lore is a fun adventure with enjoyable dialogue and characters in addition to some great combat that makes it fun to replay again and again.